With the premiere of Game Of Thrones season 8 that happened yesterday, doors and windows to many theories opened wide. Fan theories have started making rounds on the social cloud. One such fan theory suggests that Bran Stark will be the king to the Iron Throne! Surprised? Shocked? Well, we are baffled too. The theory surfaced raises some genuine claims. 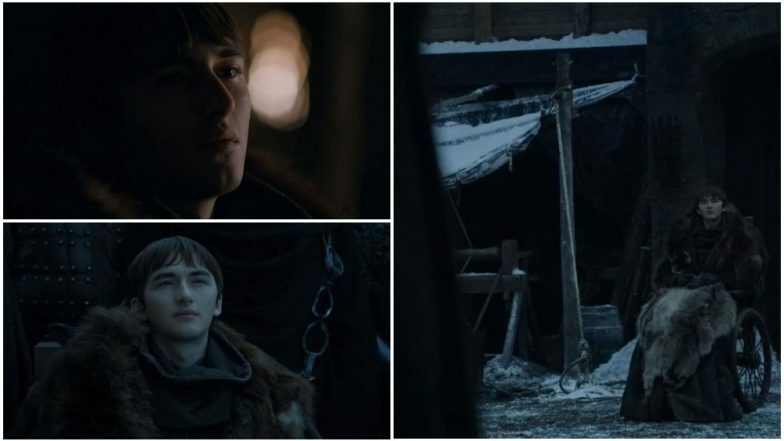 According to the oddsmakers, Bran has the powers to manipulate the past, play the present and thus likely change the future. Kit Harington AKA Jon Snow Thought ‘This Is How It Ends’ After His Testicles Got Stuck While Filming an Important Scene in Game of Thrones 8. Going by what has been shown, Bran has no particular claim to the throne. However, it is known to us that the three-eyed raven can travel back in time and through it can affect the present. Now, to this, many say that Bran is actually the Night King and Night King in Bran! Wait, what? Yes, you heard it right. The argument states that the character keeps going back in time in an attempt to stop the Night King (the first White Walker) from ever being created. Instead, he accidentally becomes him. And, so at the end, Bran ends up taking over the throne in Westeros. There is another smaller theory that is surfacing. According to it, Bran and Night King end up being opposites, good and evil, and they are the final contender in the final battle. However, this theory is quite sceptical. But then again, Game of Thrones is, in reality, a realm of an unexpected turn of events! Game of Thrones Season 8 Premiere Draws A Whopping 17.4 Million Viewers; Sets A Massive Record! We cannot say for sure what is going to happen or who would end up on the Iron Throne. But, one thing is very certain that there will come the fiercest battle of all times - the bloodiest and most heinous.